The Not So Fantastic Four, What Caused It, And Can It Be Stopped? – The Speaker News Journal The Not So Fantastic Four, What Caused It, And Can It Be Stopped? The Not So Fantastic Four, What Caused It, And Can It Be Stopped? The new Fantastic Four movie arriving by way of 20th Century Fox has hit our cinema screens to a fair amount of vitriol from fans and critics alike. An Inexplicable plot, blatantly obvious reshoots and trouble behind the camera all seem to have contributed to what has now become the prime example of the superhero movie gone bad. But the question remains, why has Fantastic Four ended up this way, and more importantly, can it be prevented in the future? 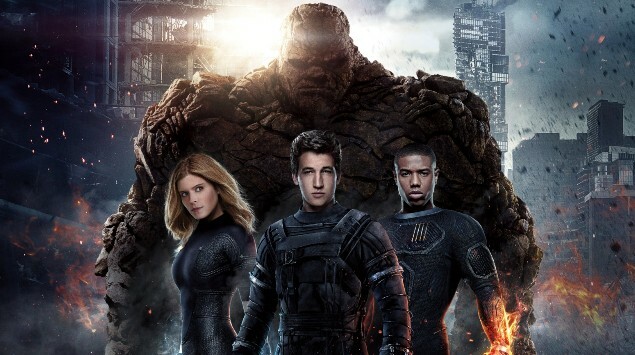 Fantastic Four had a troubled development, and as it was being filmed whatever information leaked out was met by fan backlash. At one point it was outed that the main antagonist Dr. Doom was going to be a blogger instead of a scientist, igniting the collective fuses of every comic fan on earth. This was changed in the final cut of the film, but that’s not the only thing that seemed to be different from the original vision. It’s been pointed out by many keen eyed observers that a whole host of shots from the trailers never made it into the film, and Sue Storm’s (Kate Mara) blonde hair changing shades dramatically throughout the film has become an infamous way to tell which scenes were reshot. Reports also leaked about director Josh Trank’s behaviour and mannerisms on set. Stories of how he trashed residential areas on shooting and being in a generally foul mood the entire time hasn’t curried any favour among the film fan crowd. However, it seems that even Josh Trank himself didn’t want to have anything to do with the final film, saying that, “We had a great cut of this film a year ago” on twitter near the release of the film. This raises the question, why did the film change. The internet and the movie industry seems to have placed the blame solely on studio interference with the final film. The theory goes that Josh Trank had a more unique, and perhaps more horror Cronenberg-esque film cooked up before the studio interfered with re shoots to try and build a universe so they could emulate the success of comic book movie juggernaut Marvel. Although this is a theory that has legs, it is nothing more than a theory. The studio is an easy target, and in the end, we’ll never really know what happened behind the scenes of the Fantastic Four. If it does come to light studio interference was the reason the abomination that is out in cinemas now exists, then that will be a cow that will be milked by creatives for years and years to come. Studio interference seems like an inherently troubling practice, but unfortunately, we’ll never know what in the final cut was the stamp of Josh Trank, and what was the stamp of the studio.